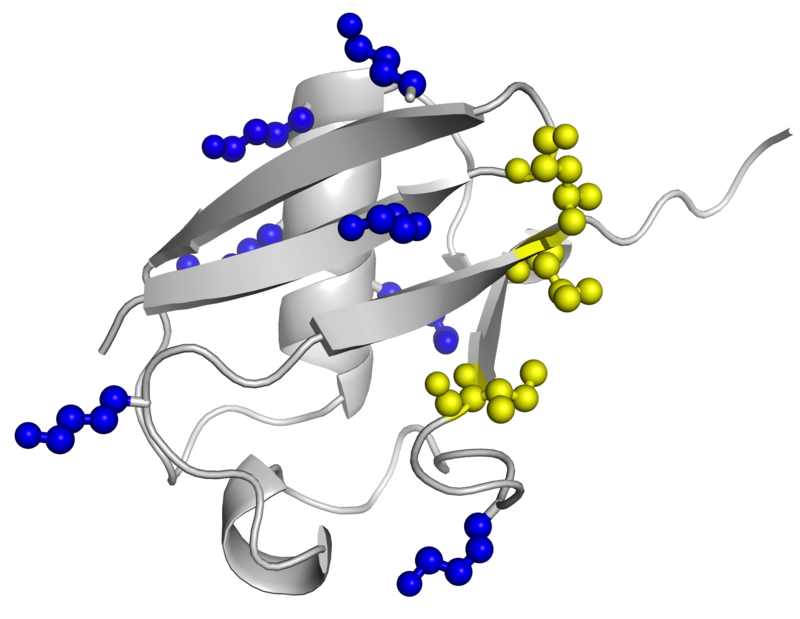 Ubiquitin – lysines in blue. another Ub. As a result, each of these different polyubiquitin chains adopt different conformations in solution, and are recognized differently by downstream receptors. The well-known (canonical) polyUb chains are linked via K48 and K63 linkages, and these chain linkages generally target proteins for proteasomal degradation, and DNA repair pathways, respectively. However, little is known about the functions of the other so-called non-canonical polyUb chains (K6, K11, K27, K29, and K33), largely because Ub-conjugating enzymes to make these chains were unknown. To circumvent these issues, we employed orthogonal protecting groups to make these chains. Our projects aim to determine how these chains interact with receptor proteins, and elucidate their biological functions. 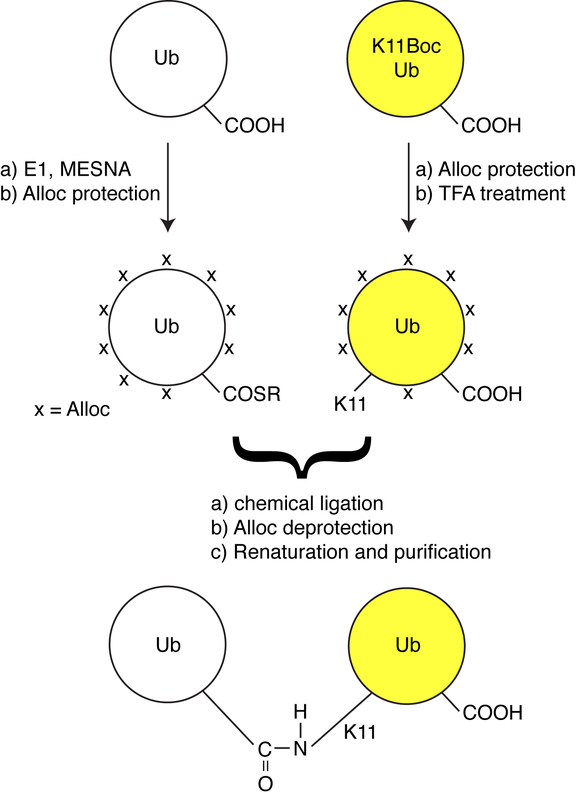 We will also use state-of-the-art chemical biology techniques to construct ubiquitinated-protein mimics to determine the effect of ubiquitination on target protein structure and function.